MANILA, Philippines – Manny Pacquiao is one of the biggest names in the boxing industry. He is known all over the world for his prowess in the ring, yet people have always been wondering whether he would let his children follow in his footsteps or whether any one of his sons were even interested in the sport. 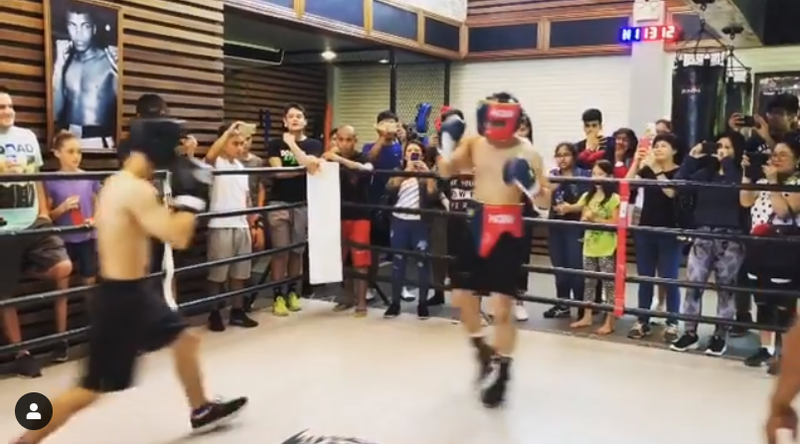 Recently, it seems that this question was answered after Emmanuel ‘Jimuel’ Pacquiao Jr. knocked down his schoolmate in an action-packed school match! 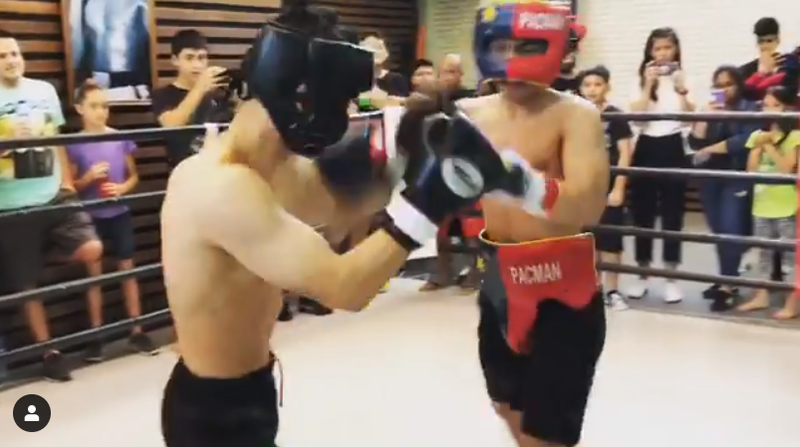 After watching the bout of just 2 rounds, many fans are saying that the younger Pacquiao certainly has skills – and he most certainly inherited his dad’s prowess in the boxing ring! Even early into the fight, Jimuel already dominated over his opponent, schoolmate Lucas Carson. 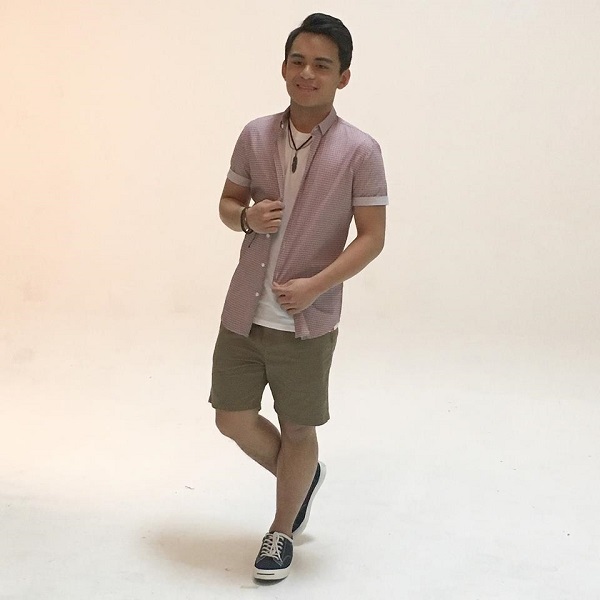 Some netizens joked that this was a mismatch because he’s got his dad’s blood running through his veins; thus, he’s the sure winner in the match. Of course, it was also quite intimidating that the younger Pacquiao went to the match with Team Pacquiao in full support! His dad was not around but was watching the match via video call. The match was also covered by sportscaster Dyan Castillejo who is known to follow Pacquiao in his fights around the world. 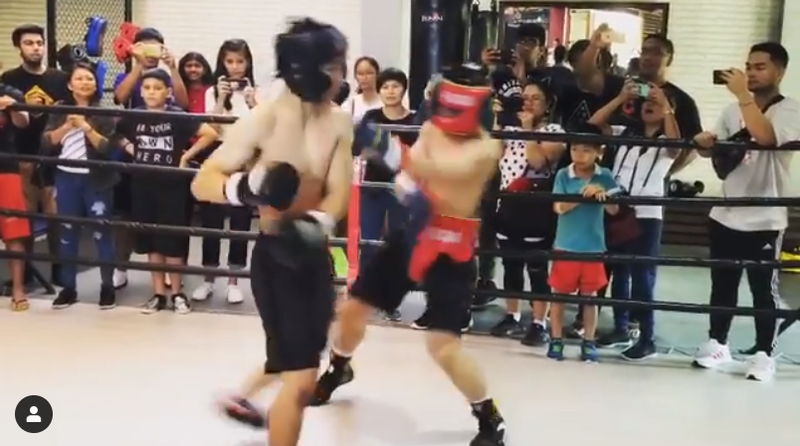 “Emmanuel ‘Jimuel’ Pacquiao Jr aggressive in Rd 1 knocks down opponent schoolmate Lucas Carson. It was an action packed bout of just 2 rounds with entire team Pacquiao supporting Jimuel who dreams to represent Phils in the future. #itsintheblood #boxing,” Castillejo wrote as caption to the video she shared of Jimeul’s impressive match. Everyone was certainly rooting for Jimuel, with fans calling him as ‘The Pacboy’, an allusion to his dad’s nickname as ‘The Pacman’. 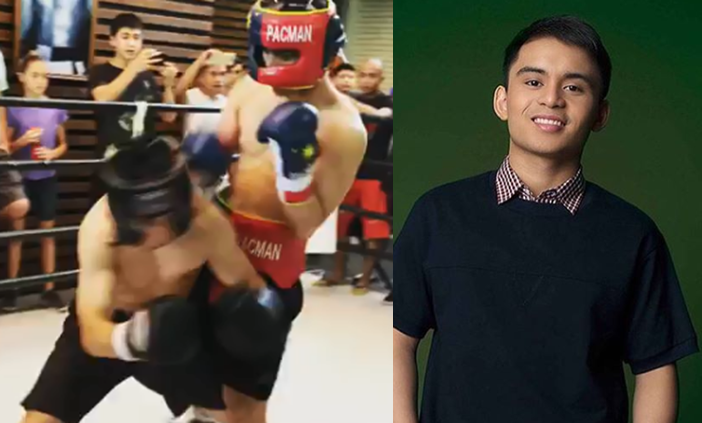 “Grabe kuhang kuha nya style ng Daddy nya sa pagsuntok sa kalaban...ang bilis ng kamao tumira...may future ka Jimuel sa boxing...for sure, ikaw ang susunod sa yapak ni PACMAN..GOD BLESS AND BE HUMBLE ALWAYS LIKE YOUR DAD…” netizen @janesegador wrote. 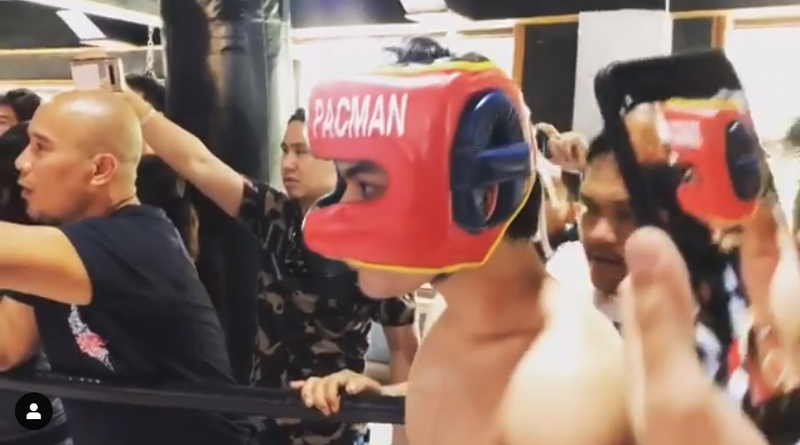 Others are hoping he would make it to the Olympic team and bring honor to the Philippines in the field of boxing. “Go for Olympic gold, Jimuel. Something that Filipino boxing greats have not done for the country, including Daddy Pac,” @rptadina commented.